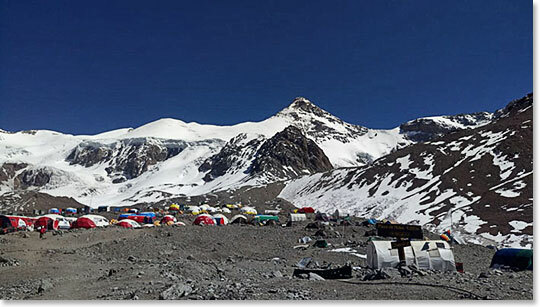 After a well done but demanding first ascent to Plaza Canada yesterday, Osvaldo, our trip leader, called for a full rest off at Plaza de Mulas for John and Rick. There were no protests from the guys. The rest and organization time - and the showers - were much appreciated. 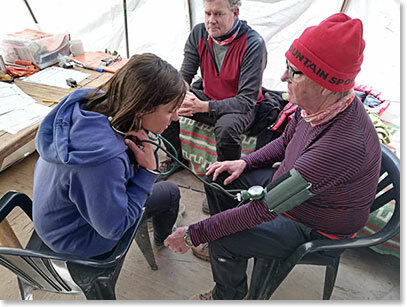 The afternoon provided time to go the see doctors at Plaza de Mulas for the required check up before the team is allow to climb up to sleep higher on the mountain. Rick and John health and acclimatization are approved by the Doc; they have plenty of time but with good rest tonight it could be time to start up as soon as tomorrow. 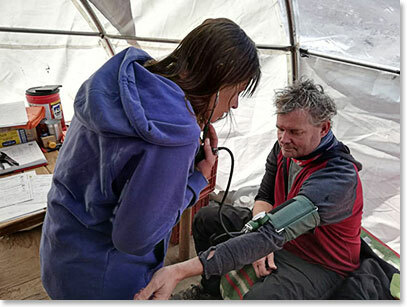 Rick BP, pulse oxygenation and other vital checked out. He’s ready to go.